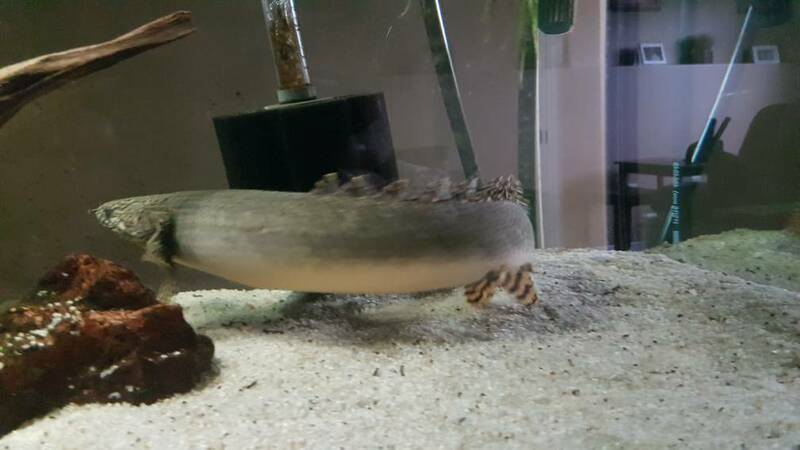 I am looking to sell my 18" ornate bichir. Very happy and healthy fish. He will need a minimum 6' 125 gallon tank. Looking for $150 or possible trade for large canister filter or south American cichlids. Would really love to find him a new home. These are really fun fish in case anyone is debating about picking him up. I have one in my 180G. Highly suggestion if you like larger fish. Really fun to watch swim and interact. They are so graceful. Needs to go with fish that won't fit in their mouth though!